C&B Equipment, INC.BLOGCompressorsWhat is a Compressed Air Audit? When considering what type of compressor to purchase your decision is based off of what types of shifts your company runs. Do they run through shifts; the first shift running a 100%, second shift running at 60% and third shift running at 20%? Those kind of things are very easily defined. At C&B, we try to rule the customer in or out at the very beginning of the conversation as to whether or not they are a candidate for variable speed compressors. We do this because the price increases significantly on these machines, but the payback can be tremendous as far as electrical cost. The compressed air audit will show the flow, amp draws, pressures and more. All of these metrics tell us the variations in the plant, so we can then tell exactly what the company needs. 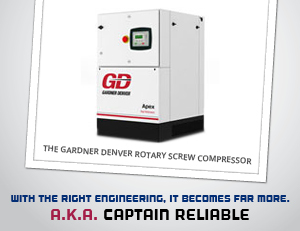 We would highly recommend a compressed air audit before any industrial compressor purchase.